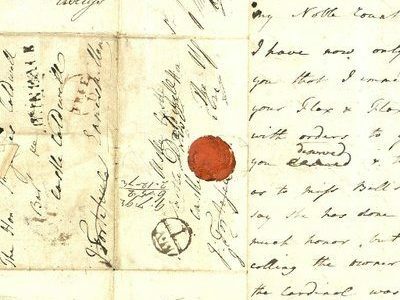 In seeking to establish the Manchester Centre for Correspondence Studies (MCCS) the Lives and Afterlives of Letters Network brings together academics across the University of Manchester and beyond, with the goal of consolidating the work already done and further encouraging interdisciplinary cooperation and discussion. The Centre will also bring librarians and archivists further into the conversation in order to foster exchanges regarding description standards and best working practices. Finally, it aims to promote the study of correspondence as a key research tool across the university and beyond, to enhance the dissemination and impact of research current and future research, as well as train and grow the next generation of scholars working with correspondence. The Centre maintains strong links with the John Rylands Research Institute; the rich collections of correspondence at the John Rylands Library are one of Manchester’s strengths in the study of that medium. Collections range from ancient cuneiform tablets and papyri, to contemporary email archives; from small collections of little-known figures such as the 32 letters of the artist William Artaud, to large collections of well-known individuals and organisations such as the Guardian Archive. There are numerous projects that work with the Special Collections at the John Rylands Library, such as the Mary Hamilton papers led by David Denison, but also several which deal with correspondence more broadly, such as the AHRC funded project on Ancient Letter Collections (2016-2021) led by Roy Gibson and Andrew Morrison. Building on the success of these and other projects, the MCCS looks forward to working with researchers from the University of Manchester, and beyond, to develop correspondence projects both linked to the rich Special Collections of the University of Manchester Library, and also those examining a wider range of correspondence from a different disciplinary and methodological perspectives.